Yvette Montero is a young adult sim, who has recently graduated into young adulthood and has set off on her own. Not knowing exactly where she wanted to live, I met up with Yvette and offered to help her get settled in a quaint but lovely little burb called Windenburg. 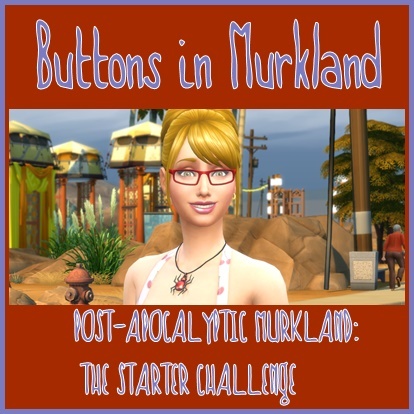 Although I will be checking in with her to make sure she is settling in, this story is about her and her life as a Sim. "Come now. You can tell me. What's got you in a punky mood?" "Well, I was standing here after the taxi dropped me off and...well this lady walked by." "And....? What is so wrong about that?" "There's nothing wrong about it...it's just that I said hello and she just snubbed me." "You mean she didn't say hello back?" "Well, Yvette, you're going to find some people like that out there. Don't let it get you down." "Yeah. She's the one who stuck her nose up when I said hi." "It'll be okay, Yvette. Let's go inside." "So tell me....what do you think of the place?" "How did you...I mean I can't afford this place." "Yvette, I can't give away all of my secrets now." "But this place is beautiful." "Look. I can put these cheat codes in and wa-la. Presto you have a house." "Don't get any idea's sugar-plum." "Well....could you possibly use one of those cheats to make me rich?" "But come on! Just a little, teeny, tiny bit more money?" "Look Yvette. You want money?" "Yes! Absolutley! 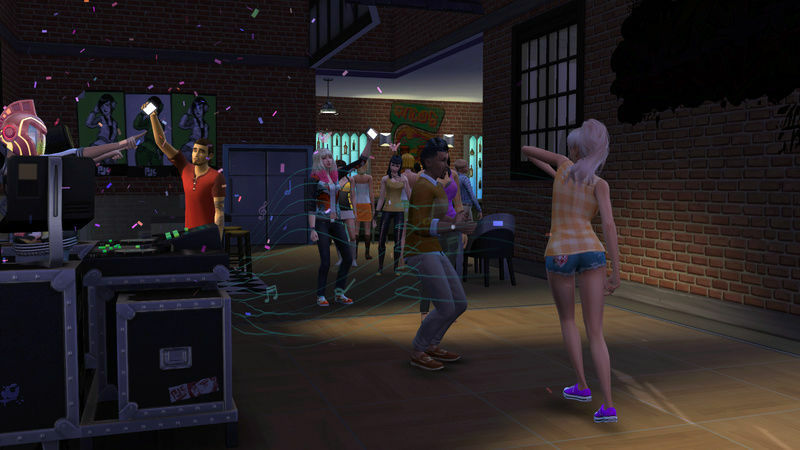 Like maybe 20,000 or 50,000 simoleons would be wonderful!" "Then get a job, sweet cheeks." "What! I have to go to work?" "You got that right honey-bun." "Look. Seeings how this place isn't completely filled with furniture. I've got budget limits too you know. I will give you a little bit of extra simoleons to help you out." "Really? How much do I have now?" "Well to be honest...you have like, 2,000 simoleons"
"What! OMG how am I going to pay the bills? Eat? OMG!" "Get a hold of yourself Yvette. I'm not going to let you starve, for goodness sake. Sheesh! Here is enough to get you by." "Oh thank you...what's your name?" "I want you to look into buying a bed and dresser. You should have enough to buy those and food until you get a job and get paid. But I must run now. I'll see you in a few day's time to see how you're doing." "What? What is her name? M...something or another. Oh well. Guess I'll ask her next time." Yvette is so pretty! I am looking forward to seeing her life. "Hello again, Yvette. How have the last few day's gone?" "Oh hey, hi! Oh man it's just been crazy!" "Oh? What do you mean?" "Well after you left, some of the neighbors came by." "How nice! You've met some of the residents then." "Oh yeah. And you know that snobby lady I pointed out to you?" "Well she came here too!" "Really. So maybe she felt bad for not saying hi or maybe she just didn't hear you." "Her name is Maaike Haas. And she did say she was sorry for not saying hello." "Well good. At least she apologized. Who were the other neighbors who came by?" "Oh well there was; Dominic and Moira Fryes, they are married. And Ulrike Faust." "Sounds like you're off to a great start here. How about the hunt for work? How is that going?" "You did? That's fantastic? Where at?" "I went to the library and used their computer to look and I found an opening with Dewey, Cheatem and Howe Corp."
"That's fantastic! Good job Yvette!" "Yeah. I'm pretty excited about it. And I got a promotion!" "Awesome! I knew you were a smart cookie when I...um..."
"Oh nothing. It's not important." "Well....you know you're not like me right?" "Then what exactly am I?" "You are what we call a pixel person." "A what? And who's is we? There is more than one of you?" "Well yes. And you are a pixel person. You're not "real" real. You get my meaning?" "Wait. So I'm not real. I'm a pixel person, whatever that is. And...."
"A pixel person is a thing that we can make in a game." "THING? I'm a THING now? Good grief!" "No...no. That's not what I meant...you're a person we can create then. How's that." "Ok. That's a little better but who is we?" "Oh we are gamers, nerds, whatever term people might use. But I'm the only one playing you." "Wrong term. Let's try this. I'm the only one who is writing your life story." "Ahhhh. I see. I think. So do I look like you...the real you?" "No? Am I that ugly?" "Oh no! That's not what I meant. You are very pretty and I am old." "Older than you, lets say." "So how did I come to be this pixel person you are writing about?" "Yvette, we got off track here. I was checking in to see how you were getting along." "Ha! You brought up the subject!" "Yeah, I kinda did walk into that." "Okay. To end this and to get back on subject, here it is. I created you in a game called The Sims 4. 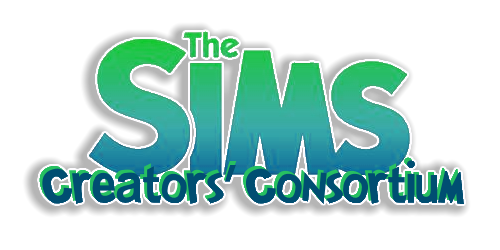 I went into what we gamers/players call CAS that's Create a Sim, which is what you are. A Sim. Then I did some magic and got you this house and here we are today." "I don't know. I mean..."
"Can we just get back on subject here? We were discussing you and your job." "Not really. I met some other people or should I be calling them Sims? They are Sims like me aren't they? Or am I the only one!" "Oh Lord. I should of never mentioned anything about this. They are Sims also. You are not the only one. Now can we please get on with everything?" "But what should I be calling them? Do they know who they really are?" "Yvette! You call them by their name! And yes, they probably do...I don't know!" "Good God, Yvette. No I did not make them." "Yes! Now get focused here?" "You're getting mad. I can hear it." "Oh Yvette. I'm not mad but this is getting crazy." "Fine. Yes you are starting to make me angry, Yvette." "Sorry. I'm just confused by everything you have told me." "Like I said I should of never went down that road. Kept my mouth shut. Now tell me. Who else have you met? You said you've met other ...people." "See even you don't know what to call us!" "Okay. Okay. I met Aarush at the Library. I think he lives there. Every time I go there to use the computer he is there. Didn't your people give him a home?" "I have no answer for that, Yvette. But I'm sure he does not live at the library." "I'll have to ask him next time I'm there." "I also met Johnny Zest, Paolo Rocca, Geoffrey Landgrabb at one of the bars. 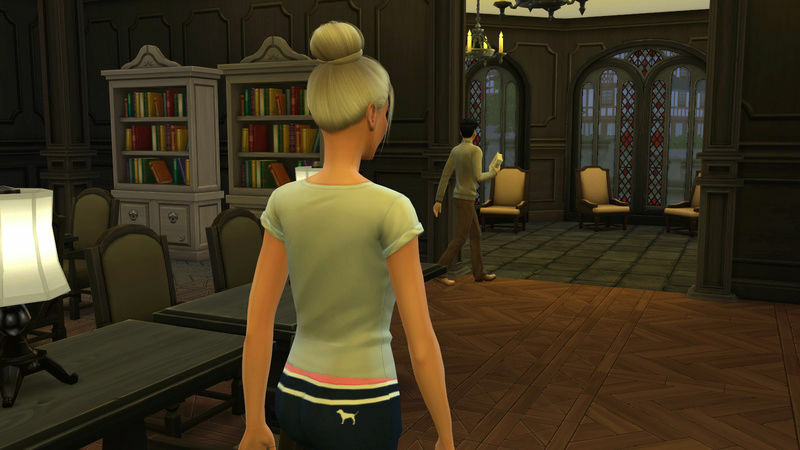 Oh and I met a Mortimer Goth and Kole Silva at the library." "So you've gone out pubbing, huh?" "Another term for bar. What about work? Have you met any of your co-workers?" "Oh yeah. I work with Jade, Siobhan and Lily." "Good. I'm happy you are getting out and meeting people. I'm going to leave you then...but before I do. Did you buy a bed and dresser like I told you too?" "Not right away I didn't." "Because I had to buy a toilet and shower! You didn't put or make sure there were any in this house!" "Oh. Sorry about that. I thought that was covered." "Oh and I had to put tile and paper in the bathroom and paper the hall, plus put lights in the bathroom and in the hall...."
"But I was able to buy a bed, tables, lamps and a dresser after getting paid." "Good. Well it's bye then till another day." I love that conversation you had with Yvette. MW, I was chuckling so hard when writing that I had a hard time finishing it. "How has the past week gone?" "Is there something going on Yvette? You seem...different." "No. Nothing is going on. I'm just a little beat is all." "Oh no. Work is great!" "Then what's got you so beat?" "I guess I've just been getting home too late." "Yeah. You could say that. And having to go to the library to fill out reports every night." "Well no one said you had to go out pubbing or to the bars every night Yvette." "I know. I just want to have fun. Unwind a little." "Sounds like a lot to me! But different subject. Did you see Aarush?" "Yes, just like always he was at the library. I still think he sleeps there in one of the chairs and your people didn't give him a home." "Look Yvette, we are not going to go through that again. I'm sorry I even mentioned anything about everything." "You should be! I feel like I'm just....just a thing!" "Yvette, you are not a thing. You are a pixel person that I created to tell their life story. You should be happy. Great things are in store for you." "That I can not say. It's a rule." "Ugh. Rules. Can you at least tell me if I'll be happy?" "Happy, sad, angry. It's all going to be a part of your life story. Getting back onto subject. What did you find out about Aarush? And no I don't know anything about him. I didn't create him." "Well when I walked into the library, I saw him getting a book and sitting down to read." "So I just followed behind him and sat at the computer to do my report." "And that's it. You didn't talk to him?" "Of course I did! I debated at first though if I should ask him. We really don't know each other that well, just a few conversations." "But you eventually did ask him right?" "Yes I did. First I asked him what he did for a living." "He said he was the librarian." "So that would explain why he was always there. Satisfied now?" "Because I want to know if he was homeless." "Can't you just leave it alone, Yvette?" "No. I don't want anyone to be homeless." "Well you can't have them all move in with you. Or is that your plan?" "Yvette. No. I understand you have a big heart and all but really. They do not fit in with the plan or your story in your house." "Can't you just make them fit in it?" "It doesn't work that way Yvette." "Oh alright. But just to keep you from going into orbit. I did ask him if he was homeless. He said no and that he and his family are getting ready to move." "Yeah. So you don't have to worry about him moving in." "So what else has happened over the week?" "Well I already mentioned I went out a few times during the week. I've got pictures, wanna see?" "Sure!" "Yvette, I'm glad you're getting along with everyone and meeting new people." "Okay. So I had a dance off with Dominic. You know he's a pretty good dancer? And I joined the Spin Masters. They asked if I'd want to join their club." "That's great but are you sure you want to join a club?" "Yeah I'm sure. It'll be okay. If it gets to be to much, then I'll just drop out." "And here I am with Jade. She's pretty cool." "She is. But I hear she can be quite snobby." "Nah. Not Jade. If she is it's only because nobody took the time to know her." "And here I'm with Paolo at a bonfire." "You two are lookin pretty cozy there, Yvette. Care to tell me anything?" "Nope. Just two very close friends hanging out." "Close friends, huh? Just how close Yvette?" "I don't kiss and tell." "Yvette? Care to tell me just exactly who that was?" "No sugar I'm in the den." "Ahem. Yvette? Answer my question. Who is that?" "Please, can you go now?" "Fine. But I will be back. I have a feeling I already know the answer and you'll have some explaining to do." "No one but myself. How was your day?" "I am the person who has been checking in on Yvette." "Are you who I heard her talking to yesterday?" "Then why did she say she was talking to nobody?" "I don't know and I will be finding out why." "To make a long story short, I created Yvette and please don't ask me to go into all the details. It's long and confusing and I don't want to have another episode of the male version of Yvette go into melt down mode. Anyways. I created her and I'm writing her life story. You my dear Paolo, were not apart of that story." "Then I don't understand. How can you be writing her story if you don't know who is part of it? Wouldn't you just be writing a story?" "Yes and no. What I meant by you not being a part of her story, I just didn't think that things would move this quickly." "First I have a question for you." "Yes, Paolo. What are your intentions towards Yvette?" "Like do you mean do I love her? Want to marry her? Live happily ever after?" "I don't know yet. I mean, she's a great kid, I do like her a lot, she great in..."
"Don't need to know that....TMI..."
"So you're plans are just to mooch off Yvette? Use her until someone better comes along?" "Noooo. I didn't say that." "Then what exactly are you saying, Paolo?" "I like Yvette. We are good friends, great friends. We have fun together and I guess, now that I think about her, I am starting to fall in love with her. She's a good person. Caring, fun, full of life...I guess she'd make a good wife." "You guess? So neither of you have taken that actual first step and become boyfriend/girlfriend." "I don't know. I guess maybe I'd like her to be my girl." "Then what's stopping you from taking that step?" "I don't know how she feels about me." "She asked you to move in didn't she?" "But what if she say's no?" "Then you know she is not meant for you. And this...whatever this is....should end quickly." "How do I know you aren't going to persuade her into saying no if I ask her? Just to get rid of me because I don't fit into your story of her life?" "I would never do that to Yvette. If you are who she wants to be with...then I guess you do become part of the story. Just one thing though, Paolo." "I won't. Or I'll try not too." "You better try really hard. One more thing. Do not get her pregnant and then leave her because you don't want to be daddy. I'll make your life miserable." "Okay...okay. I get the message." "Good. That's all I ask for. I will be watching." "Oh I'm sure you will. Man that's creepy. You don't watch when we...."
"Paolo. Don't push the button. And no. I don't. That's just creepy." "Dang! Do you just have to pop in like that? Scared me half to death!" "I'll wear a cow bell next time. Would that be suffice?" "You don't have to do that. Just don't just pop up in my face like that." "I have a question for you." "First, I know about Paolo." "Yes. Had a long conversation with him this morning after you left for work." "Why did you tell him you were talking to nobody, when you were talking to me?" "I don't know. I didn't know what to tell him or how to explain things." "Well don't worry I kinda sorta told him." "You did? You told him that we are pixel things?" "For the last time Yvette. You are not a pixel thing! Person! You are a pixel person! And no. I didn't go that far because I didn't want to have a male version of you going into melt down mode." "Why did you ask him to move in? And more...when?" "We met up one night, you know I've known him since the first night you moved me into this town. We've talked everyday and met up a few times. I just like him a lot. He's fun to be with. He's my ray of sunshine, a great kisser and...."
"Too Much Information! Please what is with you two wanting to share that much information? Ewww. Don't want to know! When?" "Three day's after we met and we..."
"No! Not that! When did you ask him to move in?" "Right after what? Wait...don't answer that." "It's nice to have someone here in this big ole house to talk to. The walls didn't hold that much of a conversation." "I understand. So how do you feel about him?" "He's great. I'm madly in love with him." "I think he does. I try to show him every way I can that I do." "Why not try saying it?" "Oh because I'm afraid too!" "Let me tell you a little secret Yvette. He feels the same." "Do you think...do you think he'll ask me to marry him?" "Do you want that Yvette?" "Oh yes! Yes I do! And I want to have a gazillion of his babies!" "Gazillion huh? Don't you think that's just a bit too many?" "Well not a gazillion. But in my dreams I can see us being a big happy family. Right here in this home. Oh to hear the pitter patter of tiny feet, little Paolo feet running around..."
"Okay, Yvette. Come back to this world. There are steps before that can happen or should be taken." "Yeah. He should be the one to make the first move." "Well you kinda did that already, in a way. Actually your suppose to become boyfriend/girlfriend and not actually live together until after the wedding...but hey it's different times." "Do you think I've done things wrong?" "No Yvette. You're just speeding up things is all. Nothing wrong with that." "Oh good. I really don't want to lose Paolo. I've liked him since we first met. Can you talk to him again and tell him how I feel?" "Oh no my dear. That is your job. You two need to sit down and have a heart to heart and get your feelings out in the open." "Crap. I'm scared to make that leap. But you are right. Someone has got to speak first." I'm looking forward to the next chapter in their life. Thanks for reading MW! I'm hoping to be able to work on the next chapter today. Love the whole 'what are your intentions' talk with Paolo. I am certain Yvette will make the right decision. Your story is so cute. And clever. Just caught up with this story! Great writing, @Mamajanaynay! Thanks Dallas! I haven't played this family in a bit until today. Next chapter will be coming up! "Good morning Yvette and Paolo"
"Well you two are in a chipper mood today." "Yes we are! Had a doctors appt the other day and baby is doing well." "Oh yes! We are expecting!" "I see. Anything else happen while I was away?" "Well you'll be happy to know that when Yvette told me she was expecting, I didn't turn tail and run! In fact, I asked her to marry me." "Good for you Paolo. Or should I say good thinking on your part and congratulations! When's the big day?" "What are you two talking about? Paolo were you thinking of leaving me if I got pregnant?" "No Yvette. MJ just thought or brought it to my attention that if you did and I left you then she would make my life miserable and we already tied the knot." "MJ did you really tell him that?" "Well...yes Yvette. And you didn't think of inviting me?" "But why? Why would you think he would? And we wanted to get married right away and we both didn't want anything big and fancy." "Long story Yvette. Please don't go into melt down mode again. I just wanted to make sure Paolo was the right choice for you. And I understand. Well congratulations on your marriage and upcoming member of the family!" "I'm not going to melt down, as you put it and I think I'm capable of taking care of myself. And thank you. It means a lot to us to have your blessing. You are a part of our family too, you know." "Yes you are Yvette and I'm sorry if you feel I stepped out of bounds. Thank you for feeling I'm apart of your family." "Apology accepted and I know you were just looking out for me." "Ok. Now that, that is out of the way, have you told Paolo about your parents?" "What? What about your parents Yvette?" "I see you haven't told him yet. Yvette I think you should tell him and be quick about it." "My parents are coming to live with us." "Welllll. Mom called me the other day. 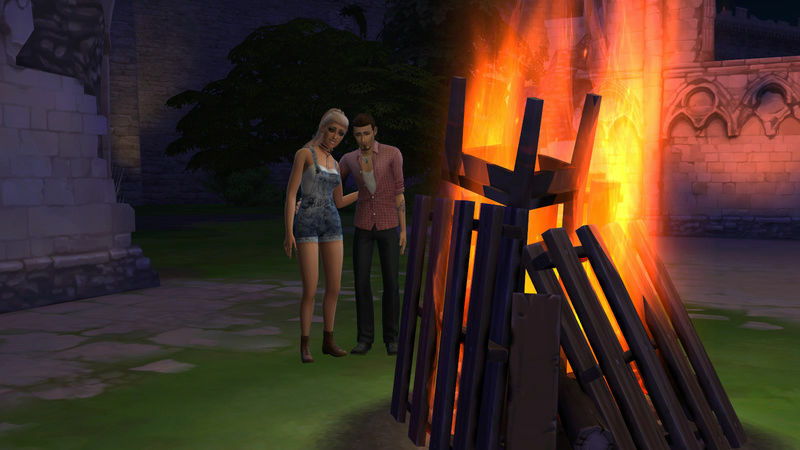 Daddy and her apartment building in San Myshuno went up in smoke so she asked if they could come stay. I didn't think you'd mind and I really want them to get to know you and well, with the baby coming I thought it would be a good idea if they were here and we wouldn't have to worry about daycare. You don't mind, do you Paolo? Baby? Sugarplum?" "Yvette, for you I will do my best to make sure your parents feel at home. How long do you think they'll be staying?" "I don't know. She didn't say and I didn't ask." "Well it looks like you two have some talking to do and preparations to make. Yvette your parents will be arriving today....they do know about the baby...right?" "I'll tell them when they get here." "Well dearest, that is a dead giveaway." "Oh yeah. I am as big as a house right?" "You look marvelous Yvette. Why are you crying?" "Because! I'm huge! And I can't walk, my back is killing me and, and, and..."
"Yvette! Get ahold of yourself!" "Yes Yvette. You are beautiful. Right MJ?" "That's them! Mommy and daddy are here!" "Well, Yvette? Go let them in!" "But first I have to tell them about...this and Paolo." "Wait. What? They don't know about me either?" "Oh come on Yvette! You haven't even told your parents that you had a boyfriend and now he's your husband or the baby?" "Good Lord child. You have got a lot of explaining to do." "Well, go on now. Go answer the door. Don't keep your parents waiting." "Yes mommy. I'm expecting a baby." "We can see that. What about the father?" "He's inside and mommy and daddy....we're married." "Bradley, didn't I tell you I had a feeling that there was something that our daughter was not telling us?" "And didn't I tell you that a few times when I called her she sounded out of breathe and I was assured by her that it was nothing?" "And didn't you tell me not to worry? She is just fine?" "Yes dear and I might add that as you can see, she is just fine. Big as a house and married...but just fine." "Well. MJ. How are you?" "Yes MJ. How are you? It's been so long." "I am fine, thank you for asking. Are you both settling in fine?" "Oh yes. We were a bit surprised to see our daughter as big as a house and of course, married." "I'm sure you were, Bradley." "We had no idea she was even seeing anyone!" "I was a little surprised myself, Dianna that she failed to mention any of it." "This is a lovely home, MJ. Tell me. Is this your handy work?" "I'm glad you approve, Bradley. And yes it is my handy work. I'm sorry to hear about your apartment. Total loss?" "Oh dear. We are afraid so. And apartments are so hard to find in San Myshuno. Not a single one available." "I'm sure Yvette does not mind you staying here, Dianna." "We sure do hope so. We do not want to be a burden." "Well with the baby almost here, both Yvette and Paolo will be thankful to have two extra bodies around to help." "MJ, do you know what she is having? Boy or girl?" "Unfortunately no I don't. I don't have that kind of control. It's everyone's guess right now. Do you think that your landlord will be rebuilding?" "Humph. I highly doubt that!" "Why do you say that Bradley?" "The man was...IS a scoundrel. He didn't do any upkeep on that building. I'm just thankful we weren't home at the time." "No, the Mrs. and I were out for dinner." "Well thank heavens you weren't there." "Here comes Yvette. I'm sure you all have a lot to talk about and catch up on. I shall leave for now then." "Oh MJ, please stay. You never stay for very long and I do love your visits." "Yes I do. Have you met my parents, Bradley and Dianna Montero?" "Yes we have met my dear. MJ has known us for a very long time. Isn't that right MJ?" "Because just like you Yvette, I created your parents. And during their creation or I should say your mothers, I made the grave mistake of checking her as not being able to have children." "Yvette, it is not our place to ask our creator why she choose to do what she did." "It's okay, Dianna. I'd like to answer that question. Yvette, I choose to do that because I wasn't sure I wanted to have your mother get married. 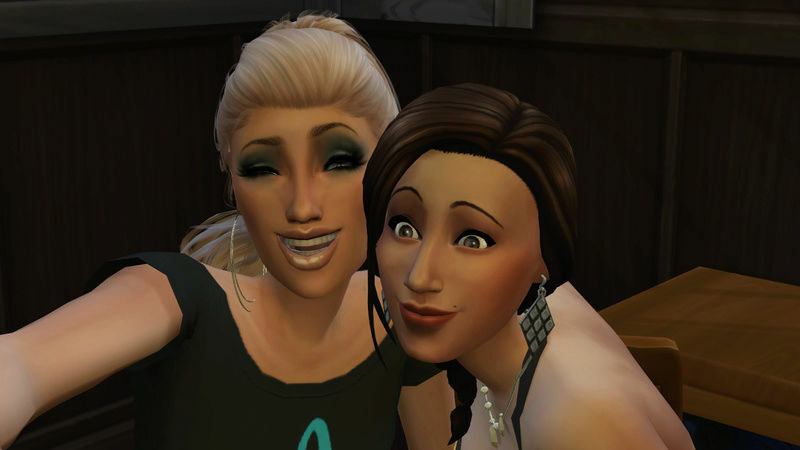 See I made her when I was thinking of just having a single sim live her life. I had created your father first and just put him out there into the world. I had no idea your father would meet your mother and well fall in love." "Well couldn't you just uncheck that option you checked?" "I could of, but then I wouldn't of gotten you. You are the spitting image of your mother Yvette." "Okay. I do think my mommy is very beautiful." "That she is Yvette. But you also have your fathers eyes, well color that is and his sense of business." "Yes! And I'm thinking of becoming an Investor just like my daddy." "That's wonderful news, Yvette honey. Your mother and I are so proud of you." "Yes Yvette. That is wonderful news and a smart choice. Your father can teach you everything he knows along the way." "Haha, MJ. That's providing things don't change by time she reaches that choice." "I'm sure not much will change Bradley." "So mommy and daddy, what do you think of Paolo and becoming grandparents?" "Well. We really haven't met your husband and are excited to welcome our grandchild. We also are looking forward to learning more about your husband." "He's a real sweet guy. Daddy you will love him. He likes to play basketball-just like you, he likes to fish-just like you and he likes to work out-just like you." "Well then. I think I'm liking him already!" "Bradley! There is more to a person than whether he likes to do the same things as you. Tell me MJ. Did you create, Paolo?" "Oh no Dianna. 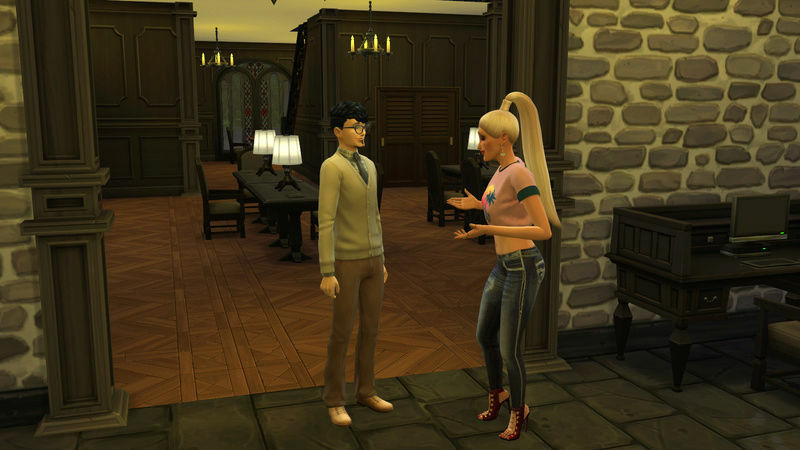 He was already here when Yvette moved to Windenburg." "And do you like him?" "Oh yes Dianna. He is a nice young man." "Then I guess he will do, Yvette, as long as he is good to you or grandchild or grandchildren. How many children do you or your husband want?" "Mommy, he is good to me. He makes me very happy. We really haven't discussed how many children we would like to have. I do know that he would like a big family. I would like to have at least, maybe, 5?" "5 children! Why so many Yvette?" "Well because I love children and I love my husband and I want to have as many of his children as I can or he wants." "I look forward to getting to know my son-in-law. He seems to be pretty special to have stolen my daughters heart." "I'm sure he looks forward to getting to know you and Bradley too. But I am off now so you can visit in private. See you all soon!" Love reading your story. Wonder what comes next? Thanks for reading EQ! I'm hoping to be able to get at least one more chapter up before leaving for Louisiana. And I've got another story in the works but first I need to figure a few things out before making a decision. I'm enjoying following along on this story. Have a great trip to Louisiana. Thanks MerryWiddow! I'm glad you are enjoying it!